They help you to make decisions about how to attract and retain your ideal customer by understanding who they are and how they make decisions. They focus your sales and marketing efforts and prevent you from chasing the wrong type of customer because you have a strong definition of your ideal customer. They create a common language about your buyer. We name our personas when developing our marketing strategies so that it is easy to refer to them in our teams. Here’s 3 short steps on how to develop them. Answer these questions quickly – you should not have to think too much about your perfect customer. Consider who your best customers are. List them in a row. Determine what they have in common. Can any of these customers be grouped together? Now put together what you know about these customers. Demographic data on the company – revenue, number of employees, etc. How they gather information. Examples are research, networks, colleagues, etc. Are they a decision maker or do they influence decisions? Now you need to validate your assumptions. Select 3-5 of your customers (also include prospects that are well into your sales cycle if possible!) to interview and confirm with them that the information you compiled above is correct. You may find that there are occasional outliers to your assumptions but select the answers that are common across the board. You may also discover that people don’t think very often about their behavior so you many have to ask probing following up questions and be patient to get the answers you need. Make note of actual quotes that you receive and add them to the persona to help succinctly define them. Finally, give each of your validated personas a name. Sometimes these are named after actual customers or sometimes a generic name is chosen. We also find an applicable photo for the persona as some of your team members will remember visual cues better than a name or description. Congratulations! You now have your customer personas. Consider adding defining information to your website forms to help you determine if this lead matches a persona. This helps your marketing automation or lead nurturing process as well as maximizes time and effort of your sales team following up on the lead. Develop a plan for your negative personas. (It is just as important to know who will never become a customer as it is to speak to your customer personas.) How will you communicate with them, knowing this persona will never be a customer? Train your sales team to recognize when a lead matches a persona. Always consider the decision making criteria, challenges and information needs when you are brainstorming content ideas or building out a content calendar. 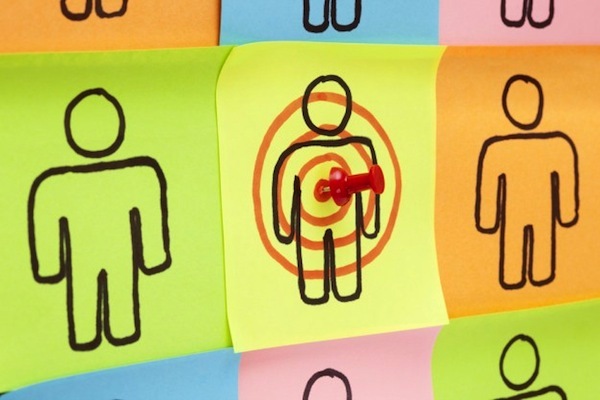 Customer personas are critical to every marketing strategy. If you need help with your strategy or have questions about this critical tactic, please contact us today.